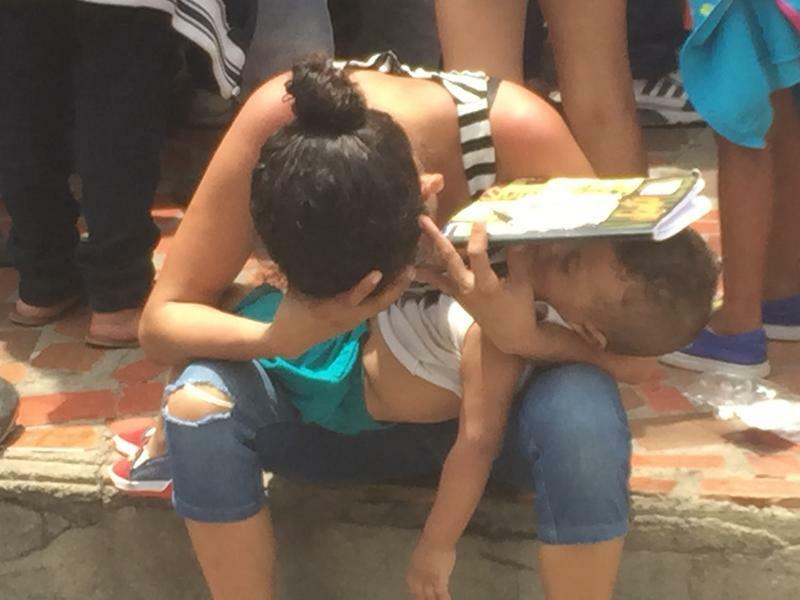 A Venezuelan refugee mother and her infant son waiting for U.N. food stamp vouchers in Cucuta, Colombia, last week. The Venezuelan refugee crisis is only worsening - and international aid raised so far to help hundreds of thousands of Venezuelans pouring into countries like Colombia is falling well short. As a result, the U.N. and other aid groups are looking for new sources of funding. 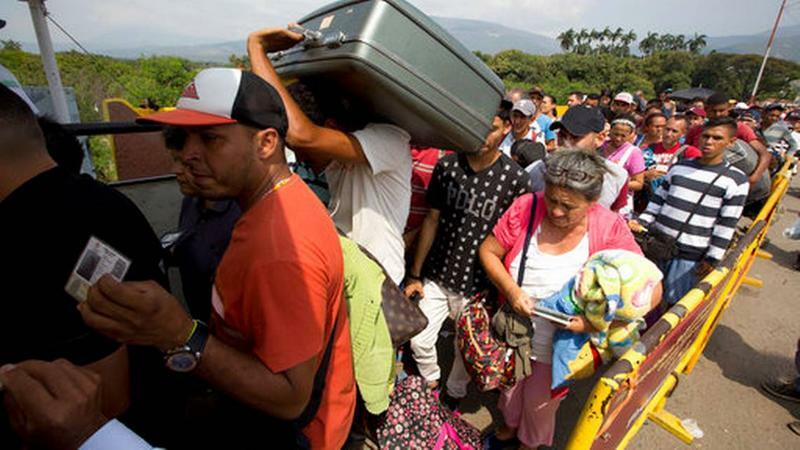 CUCUTA, COLOMBIA - Each day tens of thousands of Venezuelans arrive in the Colombian border city of Cúcuta. As many as a quarter of them stay there. They’re fleeing an economic catastrophe that’s left millions in socialist Venezuela with almost no food or medicine. Last month, the U.N.’s refugee agency called on international donor countries to provide almost $50 million for the Venezuelan refugees. Only about a third of it has been raised so far. Meaning, he says, the agency will launch an unusual campaign this summer for private donors to help fill the gap. In fact, because of the aid shortfall, churches and other private groups in Cúcuta are mobilizing to barnstorm the U.S. with their own fund drives. 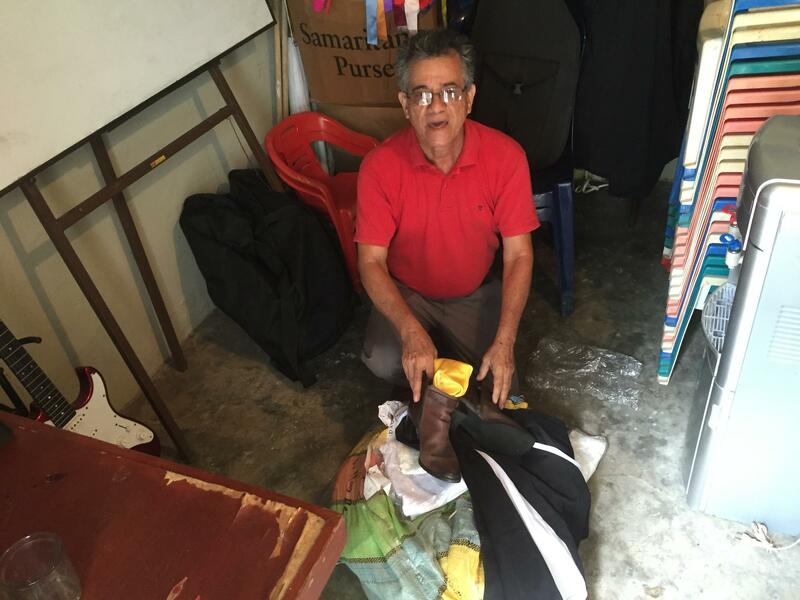 Pastor Jose Torres at his church in Cucuta with bags of donated clothes for Venezuelan refugees. "Most of the Venezuelans are arriving here with nothing," says José Torres, pastor of the Centro Bíblico evangelical church, which has aided and given shelter to hundreds of Venezuelan refugees. So Torres says he will tour U.S. cities this summer – including Miami – to urge congregations here to help the ever-growing number of suffering Venezuelans. At a warehouse near Miami International Airport, Adelys Ferro is unpacking boxes and making a checklist of donated medicines for Venezuelans. Venezuela’s humanitarian crisis is now a crisis in next-door Colombia. Thousands of Venezuelans are fleeing their country’s economic collapse each day, and pressure is mounting to help them. The diaspora here in South Florida is making an especially strong call. Former Venezuelan Senator and opposition leader Pablo Medina just arrived in Miami after touring the Venezuelan-Colombian border. Some 600,000 Venezuelans now reside in Colombia, and thousands more keep coming by the day.